The construction team from Woodhead have been going the extra mile to engage with students and teachers at Chuter Ede Primary School while they undertake refurbishment works at the school. Woodhead Site Project Coordinator, Gary Nicholson, says that the school have been really involved in the construction process and pupils have been involved with activities around the site such as the spot the hazard posters. The competition was split into two categories, Key Stage 1 and Key Stage 2. 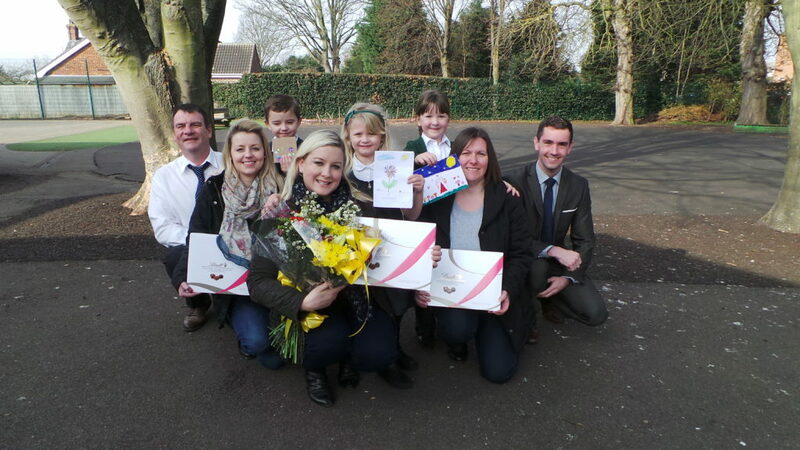 Pupils were asked to spend time designing and creating a Mother’s Day card to enter into the competition. Then the Head Teacher Mr Hattersley and select staff looked at all the entries and chose a winner and two runners up from both age groups. The winners were announced at a special Mother’s Day assembly at the school and were presented with a certificate and given flowers and chocolates to present to their Mums. The Woodhead team are now planning a Humpty Dumpty themes Easter Egg competition which will take place in the run up to the Easter holidays.